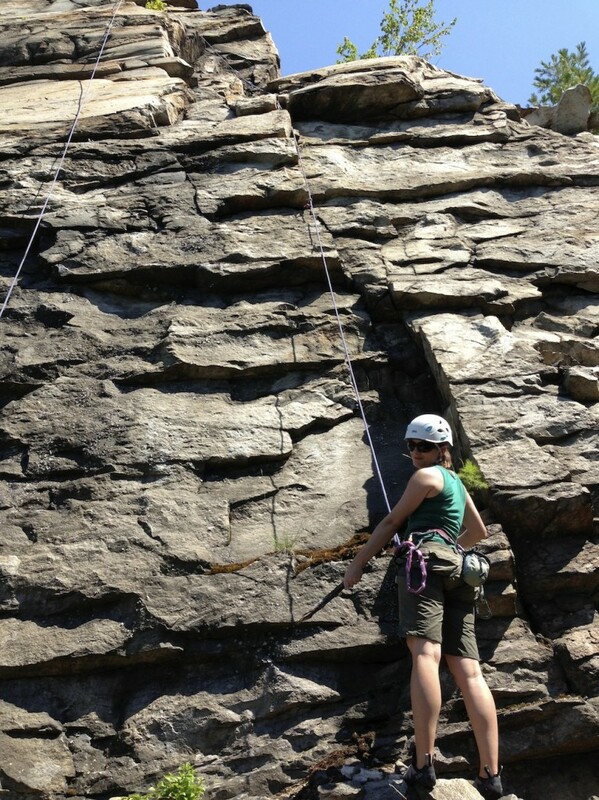 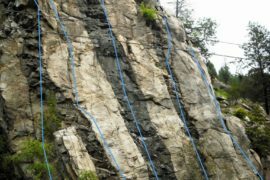 Polished Wall is located at Kinnaird Bluffs in Castlegar, British Columbia. 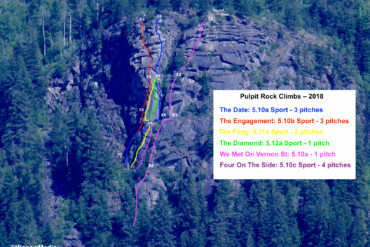 Follow the trail up and to the left (North) from Open Book Wall (page 29 of the West Kootenay Rock Guide). 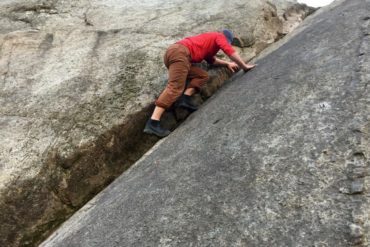 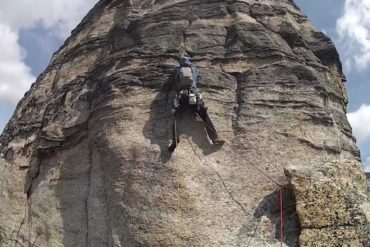 It’s an excellent wall for beginner sport and trad climbers although it’s important to note that the anchors are not easily accessible from above. 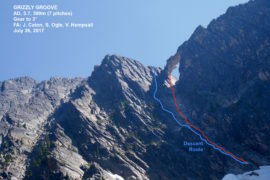 In order to fit most of the routes on the main wall into one topo image, a fish-eye lens was used so you’ll notice some of the distances appear skewed. 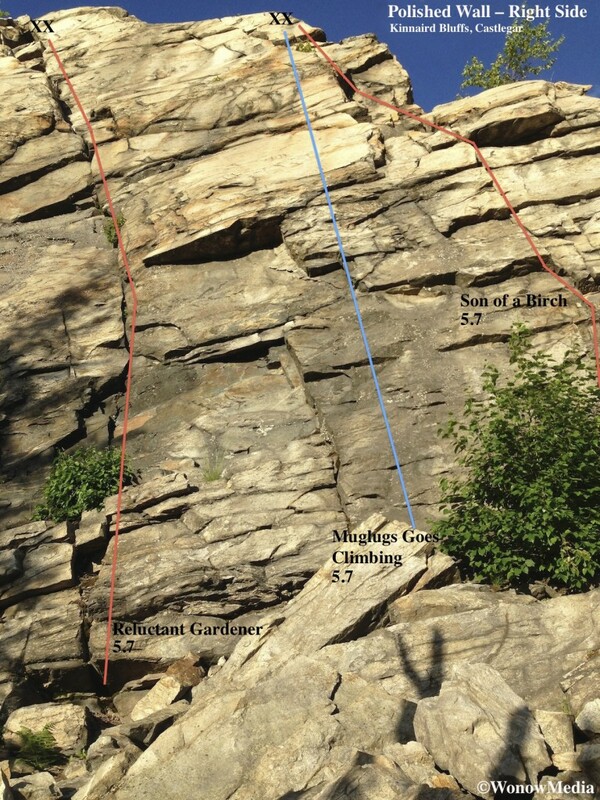 The two-pitch routes Reflections, Via Escondida and Lazy River all require two rappels as they top out around the 37m mark. 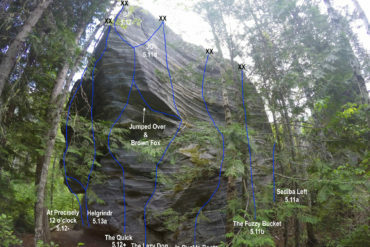 For route and access descriptions please download the West Kootenay Rock Guide updates. 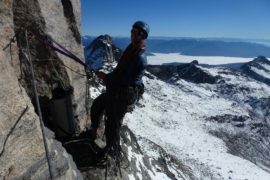 Marley Bassett prepares to toprope Son of a Birch.